Nutrient pollution from rivers, nonpoint source runoff, and nearly 100 wastewater discharges has always been recognized as one of the leading stressors to the ecological health of Puget Sound and adjacent waters including Georgia Strait and Strait of Juan de Fuca. In recent years, climate change and coastal upwelling resulting in entry of low-dissolved oxygen (DO), high-pH, nutrient-rich water has emerged as the new added threat to this ecosystem. 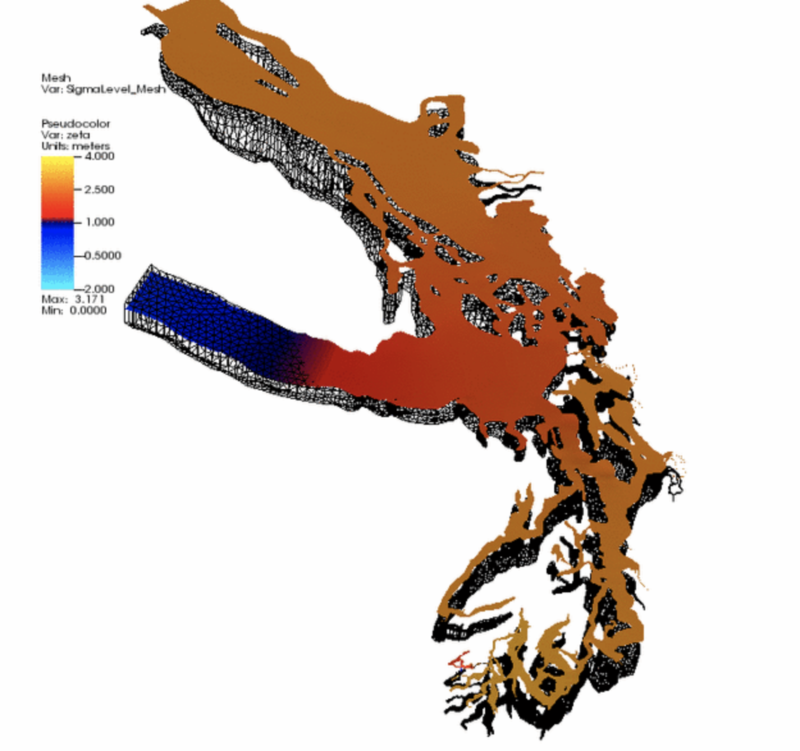 In response to a growing demand for a water-quality management tool to help plan for future conditions, the development of the Salish Sea model (SSM) covering the Puget Sound and Georgia Basins was initiated. In its present state the model captures many of the spatial and temporal patterns for phytoplankton, nutrients, and DO seen in the water-quality data. The model and results are available for use upon request and are already being applied in support of various projects.